Columbo was a 90 to 120 minute drama series on NBC about a Police Lieutenant Detective who seems rather dim-witted to his criminal adversaries but is really crazy like a fox! The criminals become so over confident that Lieutenant Columbo will never catch them. His trademark is to tell them that he's done with his investigation, he turns towards the door to leave, turns back and says, "Oh, just one last question". And you can bet that's the question they were sure he wouldn't be asking. In one moment, they go from being sure they'll get away with their crime to knowing they've been caught! The first TV pilot movie "Prescription: Murder" was based upon a play first performed in 1962. The first of the regular episodes, "Murder By The Book", was directed by Steven Spielberg. Columbo was one element of the NBC Mystery Movie series. It shared its timeslot with other popular mystery series including "Banacek", "McCloud", "McMillan And Wife", and "Quincy M.E." There were only three Columbo episodes where Lieutenant Columbo was seen in something other than his raincoat. They were: "Forgotten Lady" #30, A Case of Immunity" #31, and "Murder Under Glass" #40. In those episodes, he had to wear a Tuxedo to attend formal functions. Patrick McGoohan (Star of "The Prisoner (1967)" BBC TV Series) holds two distinctions as a Columbo guest cast member. He is the only one to appear on the TV show more than three times as a murderor and he is the only one to ever ask Lieutenant Columbo what his first name was (In "By Dawn's Early Light"). By the way, his first name was never revealed. Columbo simply adored his car even though it was pretty much ready for the junk heap. His Peugeot 403 was definitely his baby. He wasn't the only owner to feel that way. The Peugeot 403 was released in 1955 and instantly became a best seller! Lieutenant Columbo didn't care much for guns. In fact, he managed to evade taking his mandatory police force firing range tests for ten years. Lieutenant Columbo's wife was mentioned regularly but she was never shown. Columbo was always talking about things his wife had told him or what little job she wanted him to do on his way home. It's ironic then that in 1979 tried to capitalize on Columbo's popularity by airing a series titled, "Kate Loves a Mystery" where Columbo's wife solved crimes! 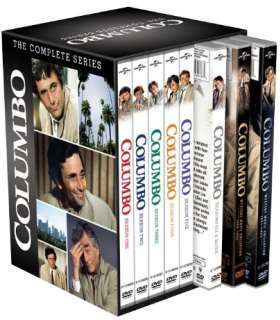 That series is not considered a "spinoff" however as there were no Columbo characters on the show. Kate Loves a Mystery was also sometimes referred to as "Mrs. Columbo"! Thank you for visiting our Columbo cast On NBC page!